In no order here are my favorite 7 pictures from my recent holiday to China. They where chosen out of many more 🤗 (Click image to view full size). Whilst not a healthy sight, the eerie smog that covered Shanghai did offer something that isn’t usually seen back in Australia. The iconic Great Wall of China. Here it is in all its steepness, It was almost 40 degrees celsius on the day. 728 metres long, with 14,000 paintings this is the Long Corridor at the Summer Palace. You simply cannot capture its size in one photograph. Built in 1750 it is like many other Chinese tourists sites incredibly old. The Marble Boat sits in Kunming lake at the Summer Palace and was first built-in 1755. It’s amazing that something so intricate could be made back then. A structure at the Lama Temple site. The colors amazing and this fine art was always on display in the ancient Chinese buildings. 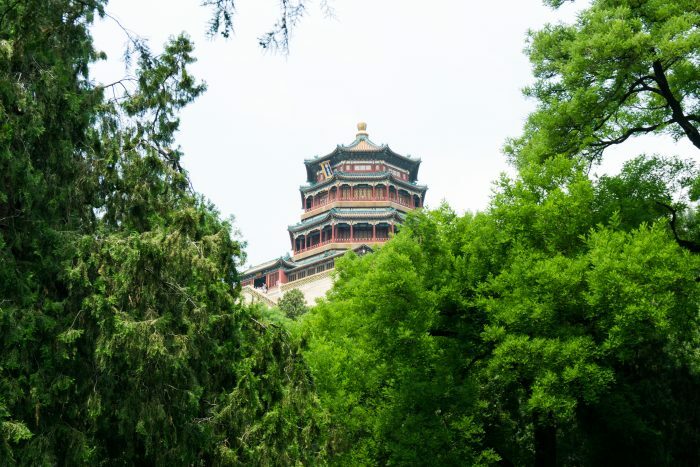 The temple of Buddhist Virtue at the Summer Palace. Over looking seemingly the whole of the area, you couldn’t miss this. The Birds nest stadium was the main stadium using for the 2008 Olympics in Beijing. The design was very refreshing and the whole stadium just feels open.